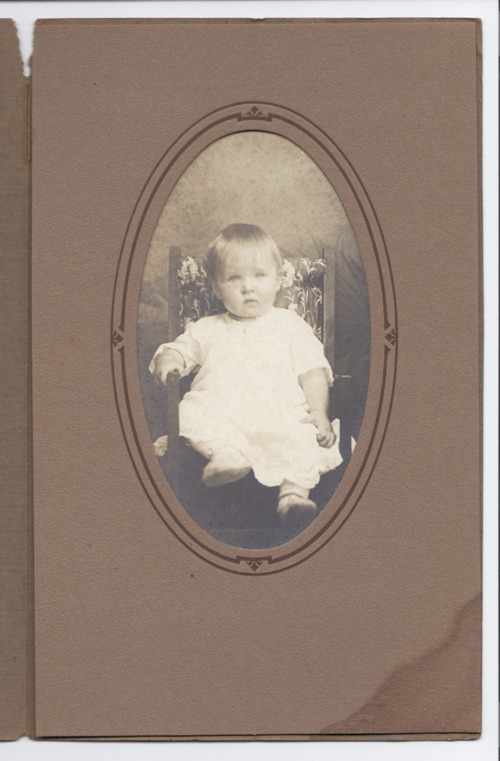 This portrait is of a child sitting in a wooden chair. It is from the collection of Mabel Boyles, who was from Rossville, Kansas. This photograph is provided through a pilot project to host unique cultural heritage materials from local libraries on Kansas Memory and was accomplished by mutual agreement between the Northeast Kansas Library System, the Rossville Community Library, and the Kansas Historical Society.